Lenny Bruce once said that "Miami is where neon goes to die." But don't fool yourself. This vibrant beach town is not all pastel colors and Golden Girls. It's a great location to host your trade show or convention. To do that right, Monster Displays stands ready to help supply all your trade show needs, whether in Miami or any other great destination. 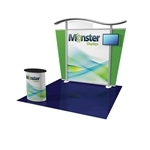 Contact Monster Displays at (888) 483-3344 to discuss your trade show needs. Making a great impact doesn't require shipping all of your display materials from headquarters. 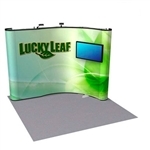 Renting your trade show needs from Monster Displays affords you a professionally designed display that is unique to your company or organization. Kiosks, audio-visual, modular displays and more can all be designed to fit your particular needs. 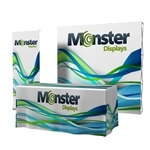 Monster Displays is also available to install and dismantle your display. Bringing over a decade of trade show experience, you can count on Monster Displays to provide you with the best quality products and great customer service all at value prices. Here are some ideas of popular displays that may work for your next exhibit or corporate event in Miami. Includes: Hardware Kit, (2) Lights, Center, Wing, and Header Graphics, and Shipping Case(s). Kit Includes: Hardware Kit, (2) Lights, Center, Wing, and Header Graphics, and Shipping Case(s), (1) SOLO Standard Counter, Carpet Flooring. Kit Includes: Frame, Graphic, and Bag w/ Wheels. Includes: (3) 36"W ROLLO Diamond Retractable Stands, (3) Graphics, (3) 3 pc Poles, (2) Connectors, and (3) Soft Carry Cases. Includes: Frame, Graphic, and Bag w/ Wheels. Includes: Frame, Photomural Panels, Lights, Channel Bars, Shipping Case and Case to Counter Graphic Wrap. Includes: Frame, Graphic, and Bag w/ Wheels. Kit Includes: Frame, Graphics, Lights, Shipping Cases and Case Wraps Kit Includes: (1) Frame, (1) Full color graphic, and (1) Soft bag w/ wheel trolley. While the Miami International Airport and the Port of Miami are just minutes away, the Miami Convention Center sits adjacent to Brickell Avenue and the city's international financial district. Many of the city's newest and finest hotels are nearby. When the meeting is over and it's time to wind down, you're in close proximity to some of the finest beaches in North America. Originally developed as a coconut farm, South Beach gained popularity with the 1983 movie "Scarface." This vibrant area is renowned for abundant dining and hotel accommodations as well as an exciting nightlife. 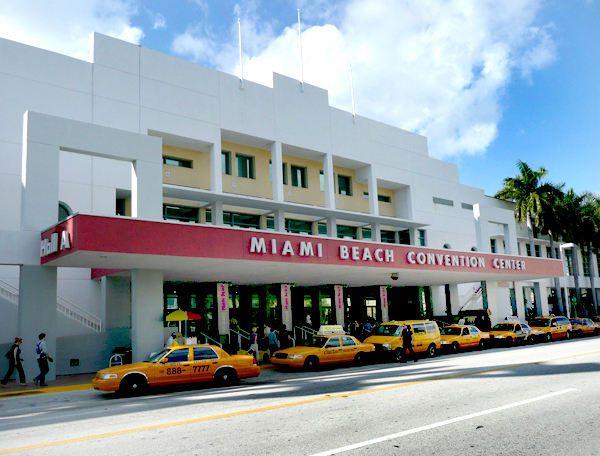 Here in the heart of South Beach is the Miami Beach Convention Center. This tropical paradise offers amazing opportunities for entertainment while the Miami Beach Convention Center allows you to take care of business first. 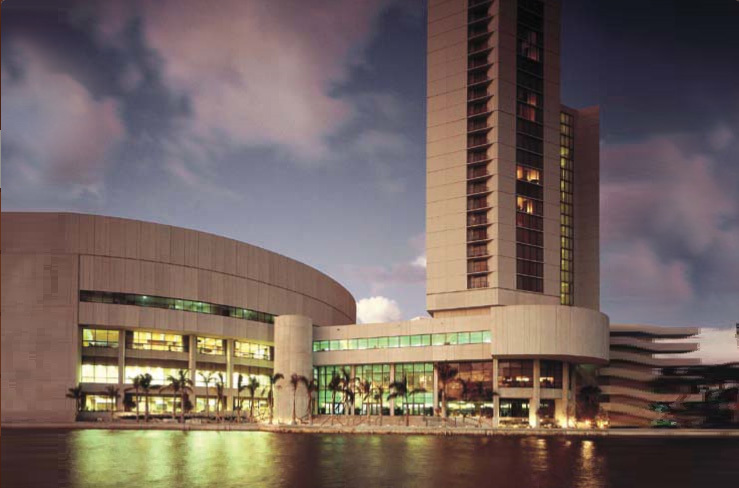 Providing more than 500,000 gross square feet of contiguous meeting space, the Miami Beach Convention Center offers unlimited floor load capacity as well as a 35-foot ceiling clearance. For meetings there are 70 column free rooms ranging from 500 to 20,000 square feet. These are all equipped with flexible audio/visual capabilities. Located at sea-level just above the Tropic of Cancer the tropical climate of Miami is influenced by the Gulf Stream. Winter temperatures are mild, rarely going below freezing. Summers are warm, but also can be wet and muggy as thunderstorms roll in off the ocean. Miami, of course, has the potential to see a good amount of hurricane activity, mostly in August and September. 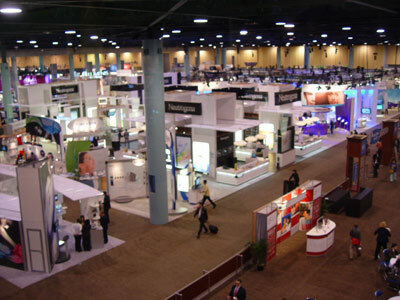 Check out this link for a list of upcoming conferences and trade show events in Miami. While Miami may be at the far southeast of the contiguous U.S., the city is full accessible from all U.S. cities and many cities around the world. Miami is also well connected by rail and highways. As the third largest international point of entry in the United States, Miami International Airport is one of the world's busiest airports. Flights leave and enter Miami with connections to major international cities in North and South America, Europe, Asia and the Middle East. 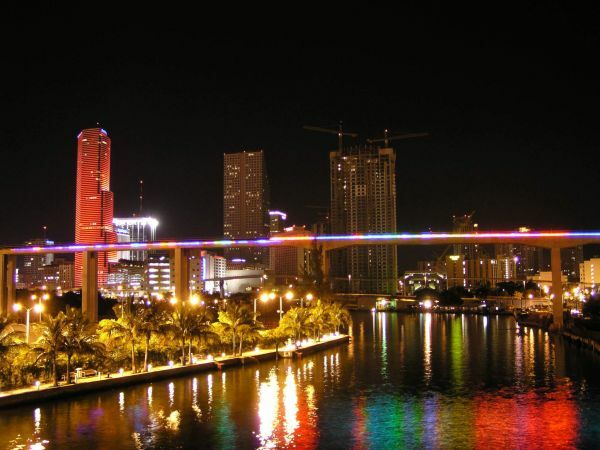 Miami is connected to New York City and Washington DC, as well as other East Coast cities via Amtrak's Silver Service. Miami is also connected by train to West Palm Beach, Boca Raton and the Fort Lauderdale Airport. Buses: While the buses may be crowded both public and private buses offer less expensive travel and a well-connected system. Trains: Miami's Metrorail is a single-line rail system serving the major tourist areas in Miami. Two main stations are located at the Government Center and at Brickell Station in the financial district. Other: Taxis can Cabs are readily available for getting around the city. They can be hired outside of all major transit stations, airports and tourist destinations. Whether it's the elegance of Miami's Art Deco age, the luxury of five star accommodations or whether it's the need for more economical accommodations, there is no shortage of hotels in the Miami area. As a major tourist destination with visitor's year round, a wide range of hotel options awaits. There's plenty to see in Miami. For entertainment in Miami, there's no shortage of venues. 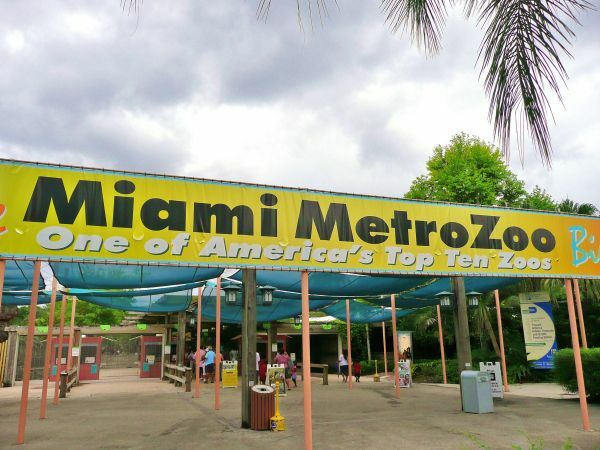 Visit the Miami Metro Zoo, Jungle Island (formerly known as Parrot Jungle), Oleta River State Recreation Park and the Venetian Pool. 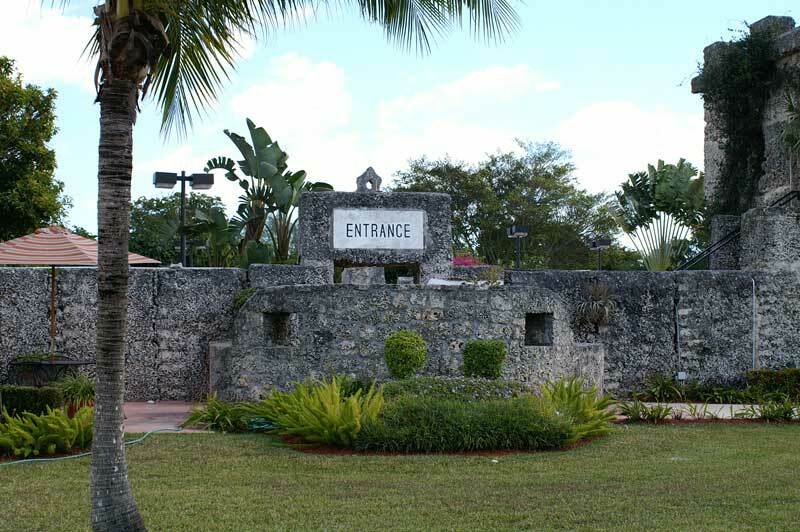 Other major attractions include the Miami Museum of Science, Coral Castle, the Frost Art Museum, the Bass Museum of Art and the Jewish Museum of Florida. For great Miami shopping check out the Mary Bricknell Village, Coconut Grove, Miracle Mile in Coral Gables, South Beach, and the Biscayne Corridor. 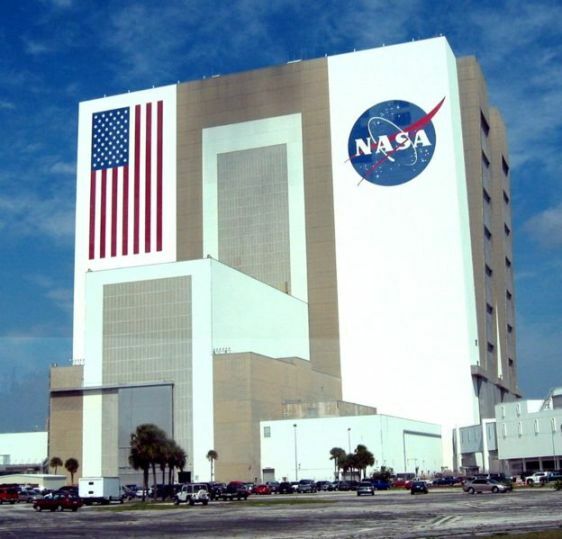 Just outside Miami you can find excursions to the Kennedy Space Center, the Florida Keys and Everglades National Park. You won't go hungry with Miami's unique blend of Latin, Caribbean and U.S. foods, referred to as Floribbean cuisine. Some of the local favorites you'll find include coconut candy, guava jelly, and more.